This is the fourth potential sale of the Atlantic Club since April 2016. TJM Properties’ long-awaited sell of the Atlantic Club Casino Hotel in Atlantic City took another bizarre twist over the weekend: a notice of settlement was filed without TJM’s knowledge. Jeffrey Smolinsky of North American Acquisitions was listed as a buyer in a January 15 filing, but a spokesman for TJM said it have had no contact with Smolinsky for weeks. 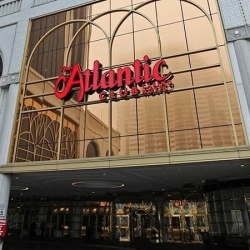 The current owners of the Atlantic Club confirmed they had spoken to Jeffrey Smolinsky about selling the closed casino, but said they had not spoken about the deal since around the time the notice of settlement originally was filed. TJM expressed surprised that such a filing had ever happened. The Press of Atlantic City published the document on Saturday, February 2nd. The notice of settlement, which states that a property is to be sold, has no sale price, but offers other key information. For instance, the submitting company was the First American Title Insurance Company, which created the document on December 6, 2018. Jeffrey Smolinsky is listed as a senior partner at the company on North American Acqusitions’ LinkedIn page. When The Press of Atlantic City reached out to Jeffrey Smolinsky, he did not return messages. Over the past six months, this would be the third rumored sell of the Atlantic Club, an Atlantic City casino which closed in January 2014. Opened in 1980 by Steve Wynn as the Golden Nugget Atlantic City, the Atlantic Club has a storied history in the city. Over the years, it’s had several names: Bally’s Atlantic City, The Atlantic City Hilton, ACH Casino Resort, and finally the Atlantic Club. As Atlantic City’s casino industry faced a serious downturn in the wake of the Global Recession, the casino declared bankruptcy in 2013. Caesars Entertainment and Tropicana Entertainment combined to buy the casino in a bankruptcy auction and closed it for business in January 2014. Eventually, Florida-based TJM Properties bought the casino from Caesars for $13.5 million. TJM also owns another Atlantic City property: The Claridge, a Radisson Hotel. In recent months, it appeared TJM Properties would sell the property several times, but each time it came to naught. In January 2016, TJM appeared to have a deal to sell the property to Endeavor Property Group, a Pennsylvania company which planned to turn it into a water park. Endeavor failed to gain the financing, because TJM wanted to close within 60 days. In April 2017, Ventnor Development Group sought to buy the property. Ventnor wanted to build Dolphin Village at Atlantic Club, which would be a family-friendly resort and water park. Again, the plan fell through due to inabilty to get financing in a short window. In October 2017, TJM said it had a deal with an unnamed group which was waiting for “hard money” to come through. This deal also appeared to fall through. In August 2018, Stockton University announced it would buy the Atlantic Club. This was just prior to the opening of its $176 million Atlantic City campus. Stockton University wanted to use its parking garage for campus parking, while demolishing the casino for even more student parking. The next month, Stockton University and TJM Properties said they had failed to reach a deal and no sale would happen. Not long after, though, it appears that TJM began discussions with North American Acquititions and Jeffrey Smolinsky. The mysterious nature of the filing does not mean TJM will fail to sell the Atlantic Club again, but it is the type of minor mystery which continues to follow attempts to sell the property. Stay tuned for updates.